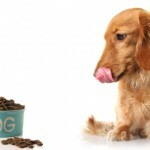 What is in dog food. What to look for and what to avoid. If any good came of the tragedies that prompted the 2007 pet food recalls it’s that people became a little more discerning about what was going into Rover’s dish. Unfortunately pet food manufacturers don’t always make it easy to make good choices and many are just plain misleading. To identify a good quality food, you have to look past the delectable descriptions of feasts fit for a king. You should also ignore commercials featuring cute and happy canines living life to the fullest. Ditto the actors’ loving voiceovers suggesting that if you really cared about your dog, you would choose Brand X. Armed with a few basic guidelines, you need only read the list of ingredients so have a closer look at the bag of kibble in your kitchen cupboard and see how it measures up. Meal is OK provided the protein source is specifically named. Natural preservatives such as mixed tocopherols or ascorbic acid (vitamin C). Foods containing brewer’s rice, corn or wheat gluten. These are just nutrient-poor fillers. Foods preserved with BHA, BHT or ethoxyquin. So how does your choice stack up so far? Don’t forget to check expiration dates before you buy and look at the guidelines on the package for recommened daily rations! Note that there is no one right food for every dog. 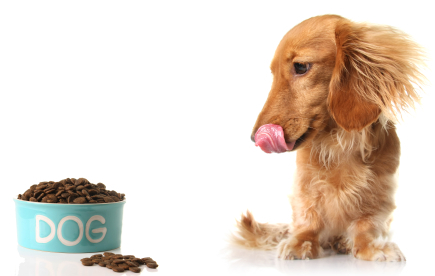 Breed, age, weight, current health condition, medical and behavioural history, activity level – all play a role in determining the most suitable diet for any individual dog. If you’re considering a switch in diet be sure to implement it gradually to avoid tummy upset and if your dog is on a veterinian-recommended diet be sure to consult with your vet before making any changes. The Whole Dog Journal for a treasure trove of information, not least of which is their annual research-driven (as in not advertising-dollar-driven) food reviews: http://www.whole-dog-journal.com/.